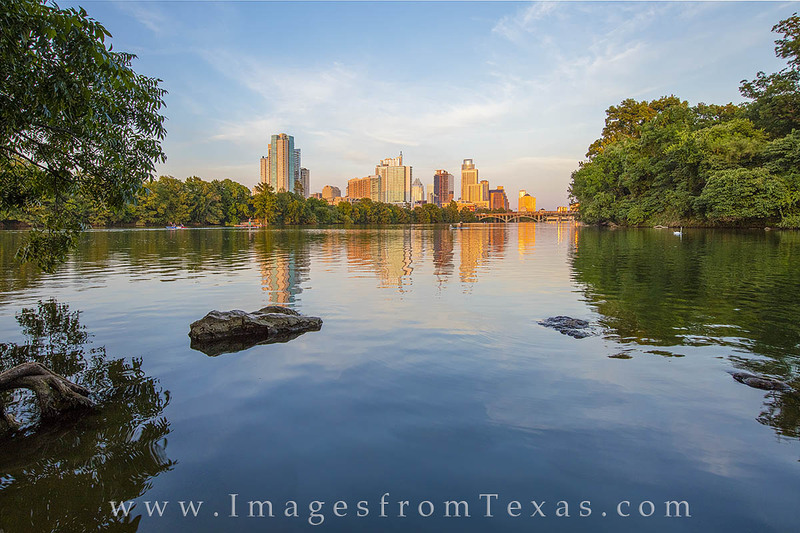 In the late afternoon, the Austin skyline bakes in the last light of an August day. On the waters of Lady Bird Lake, folks are out enjoying kayaks, paddle boards, and canoes. Even a swan floats by along the shore. This iconic view of downtown Austin comes from Lou Neff Point, a nice stop along the Zilker Park Hike and Bike Trail. Photo © copyright by Rob Greebon.